Many people come to Costa Rica for the beautiful beaches. While some are seasoned experts, there is also a large amount of people who have never visited a beach before. With our tips you can make the most of your visit to the beach. There are some items that will really help make your trip to the beach much easier. Remember to bring bug spray, waterproof bags, a flotation device for your keys (just in case), flip flops, and mats to lay on are all good items to bring. Here is an article on additional items to consider to pack just for Costa Rica. While this may seem obvious to some, it cannot be stressed enough. The amount of sun you will receive on a Costa Rica beach may be much more than what you anticipate. It is possible to get severely burned very quickly, so be sure to bring a high SPF and reapply frequently. 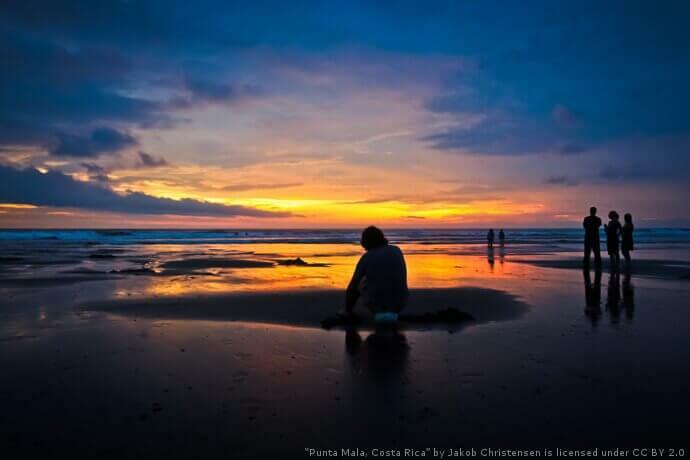 Costa Rica has two main seasons, a dry and a wet season. The dry season (Dec – April) is more ideal for a beach visit because it is not very likely to rain on you. However prices are higher and areas are much more crowded. The wet season will be cheaper and though you will not have much trouble with bookings, you will probably experience light rains most afternoons and evenings. Riptides are breaks in the ocean current that can carry you out to sea. They can be dangerous if one does not know how to identify them, and what action to take if you are caught in one. Check out this great guide to both identifying them and how to escape one if you enter one. Most of the popular beaches are easily accessible by bus routes at all times of the day. However there are some amazing gems to be found if you can get off the main path. If you want to visit a more secluded beach and have the area to yourself, consider renting a car so you can get to less frequented beaches. The tips are really useful…Thanks for sharing!! You are welcome, we are just glad you found some of our tips to be useful.